Home This Week's Edition Advice Mindbiz: Why Is My Wife So Bossy? 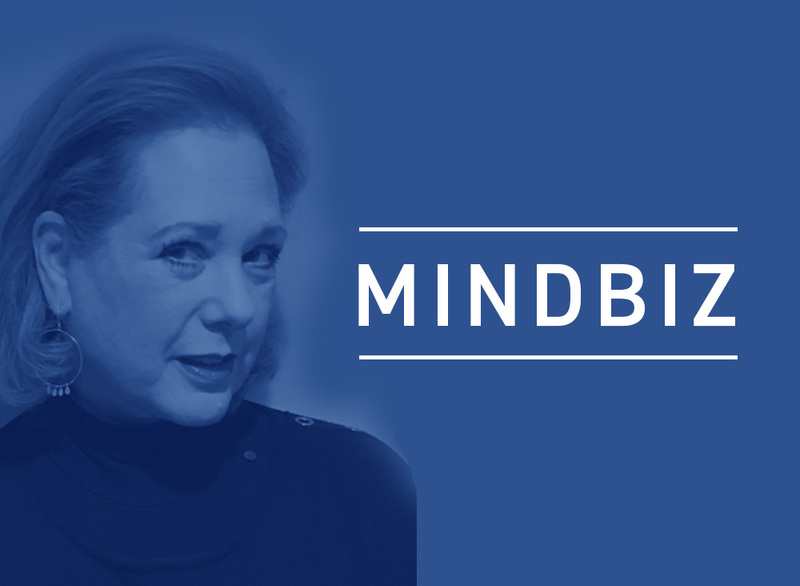 Mindbiz: Why Is My Wife So Bossy? I recently got married after being divorced for six years. My divorce took so much out of me that, for a number of years, I didn’t even consider getting married. It was such a relief to not have anyone telling me what to do or how to be or controlling me in any way. I’m an easygoing guy and maybe an easy mark. I’m starting to understand that people can detect a sucker very quickly. And I guess I’m just a sucker. My first wife really took advantage of me and did not let me live in peace. Ironically, she was the one who decided to divorce me. I probably would have gone along with her bad treatment of me forever, so I guess I’m lucky that she put an end to my misery. Anyway, I started dating about two years ago, basically because family and friends wouldn’t let me be. They all kept telling me that it’s not good for me to be alone and that I should put my mind to getting married. Frankly, though I did feel very lonely at times, I think the fact that I was my own person canceled out a lot of that loneliness. But after having people call me so often with names of “wonderful women” that they knew, I finally decided that I ought to give it a shot. I went out with five different women. Most of them were nice, but I didn’t feel any chemistry with them. Then I was introduced to Caren. Right away I felt very comfortable with her. She seemed very nice but also strong and confident, which I realize are attributes that I’m drawn to. After dating for maybe five months, Caren started pressuring me to commit. I was in no hurry and could have gone on just dating for a very long time. But she finally hit me with an ultimatum, and I didn’t want to never see Caren again, so we got engaged. While we were dating, Caren always seemed sure of herself, but she wasn’t bossy toward me except for when she started pressuring me to get engaged. Even then, it didn’t feel so much as bossiness as her taking the lead. Well, wouldn’t you know it — it seemed as though the minute we got married, she turned into my first wife! In some ways, she’s even worse. Not only does she like telling me what to do, when to do it, and how to do it, she is trying to totally remake me. She’s thrown out some of my old clothing that I happen to love and told me it’s time for a makeover. She’s taken me shopping several times already and pretty much lets me know what I need to buy, even though the items she picks out are not anything I would ever select on my own. But here’s the clincher. She wants me to get a nose job! I thought she was kidding the first time she brought it up. I know I don’t have a great nose; in fact, I’ll admit it’s pretty awful. But who cares? I’m a guy. I don’t think I have to have a perfect nose. Caren told me that she made an appointment with a plastic surgeon for us to visit and discuss. I’m still in shock. Yes, I’m easygoing. But I like my nose because it’s part of who I am. I’m starting to think that Caren married me with the intention of turning me into some fantasy guy she wants to be married to. I probably should have put the brakes on this whole makeover business the first time she told me it’s time for new frames for my glasses. Silly me; I just went along with it, not realizing how far Caren would take it. The idea of another divorce really puts me into a panic. Besides, there are certain things about Caren that I enjoy and would miss. On the other hand, how do I get her to just accept me as I am — old-fashioned clothing, boring glasses, and a big nose? Not to mention all the other ways in which she is trying to “fix” me. Is there any hope for me and this marriage? Do I just go along with all her silliness, do I call it quits, or is there some way for me to get Caren to accept me as I am? Usually, people don’t just change — certainly not without some serious intervention. We are who we are, and without a good enough reason to look within and change things up, we tend to move along in our lives pretty much in a status quo pattern. Clearly, you are attracted to very strong, domineering women. I’m sure there are some excellent reasons why you find these types comfortable to be around, but for the purpose of answering your question, we don’t need to get into that right now. Caren is your first wife, just with a different name, different packaging, and different approaches. Make no mistake — you went and married your first wife all over again. It’s a serious mistake that people in second marriages often make, and it’s not uncommon. 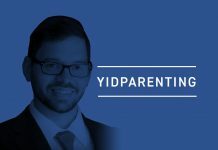 Being bossed around is what you know, and, therefore, when Caren came along, you defaulted into behavior that felt right for you, once again playing the role of the henpecked husband. On the flip side, Caren probably has her own issues around being in control and calling all the shots. Obviously, you give off a very strong vibe that you are someone she can work with to achieve her goals. With you, she could put her agenda into play. As they say, a match made in heaven! Now what? You know in your heart you have to stand up to Caren and let it be known that you are not her toy doll that she can dress up and toss around. And that’s only pertaining to the outer stuff. On a deeper level, it seems you are well aware that you don’t need anyone telling you what to do or how to do it. Been there, done that. One such experience in a lifetime is surely enough. So what do you think is getting in the way of putting the brakes on Caren’s plans, beginning with canceling your appointment with the plastic surgeon? Are you afraid of her? Do you think she’ll leave you if you say no to her requests? Do you think this is what love looks like? Many of these answers can be found in your first marriage. With all of your accommodating and just absorbing the blows, your first wife still got fed up and left you, because such an unbalanced relationship isn’t very satisfying on either side. It’s not healthy, enjoyable, or gratifying in any way. It’s time for you to start figuring out who you are and why you behave the way that you do. Old habits die hard and it will take a great deal of work for you to truly access those deeply seated feelings that have impacted your behavior and your tolerance for disrespect. You mentioned in your letter that you’re “easygoing.” Being easygoing is a wonderful attribute, one that is admired and sought after in relationships. But don’t mistake “easygoing” with being a “schmatte.” We all need to feel a healthy dose of self-respect, self-esteem, and feelings of self-love that enable us to walk around with our heads held high. Get to work, my friend. Figure out who you are and lose the fear. My guess is that if you manage a meaningful behavior overhaul, not only will Caren not be upset about it (well, maybe a bit at the beginning), but ultimately she will have greater respect and love for you. Esther Mann, LCSW, is a psychotherapist in Hewlett. Esther works with individuals and couples. Together with Jennifer Mann, she also runs the “Navidaters.” She can be reached at mindbiz44@aol.com or 516-314-2295. 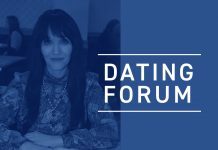 Dating Forum: Can I Trust the Man Who Dumped Me?